So, what did I get in the week of Sunday, May 27th to Saturday, June 2nd? For nearly two years, this book has been abuzz! I waited until it went on sale and this week, it was $1.99. Win! I actually posted on Instagram this week... but the embed feature isn't working! You can view the post HERE. This week was insane at work! I stayed late every day (Tuesday-Friday). But it was nice to have Monday off. I'm so ready for the weekend! The Kiss Quotient looks good. Hope the Hating Game is a fun one for you. I've heard good stuff about it, too. 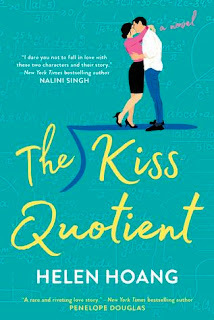 I have The Kiss Quotient on my tbr, but I like the Tessa Dare book too!! Ooo I can't wait to hear what you think about A Thousand Beginnings and Endings! The Kiss Quotient and The Hating Game both look super cute! The Sara Wolf book looks fantastic. 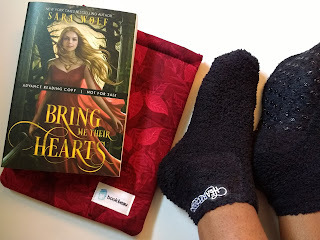 Ooh, I just finished Bring Me Their Hearts - it was awesome! Everyone seems to be loving The Kiss Quotient! It sounds like a good one. Happy reading! Definitely sounds like a long week - hope you've been having a relaxing weekend. Those heartless socks are SO soft, aren't they?! 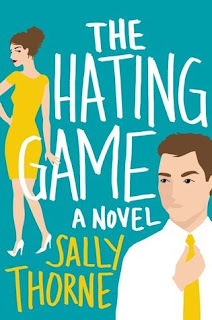 I did enjoy The Hating Game. I was not as bowled over as some people, but it was a 4-star read for me. I ended up really loving Josh. I really need to buckle down and get to the Kiss Quotient, because all the raves have me in FOMO mode. OMG THE KISS QUOTIENT! It's soooo good, Alyssa. Can't wait to hear your thoughts on it! I'm also quite keen to hear your take on The Governess Game, it's one of my most anticipated romances of the year.